Following Sunday’s Amstel Gold Race, the best hilly classics riders in the peloton flock to Belgium for the second of the three Ardennes Classics, La Fleche Wallonne, on Wednesday (April 22). 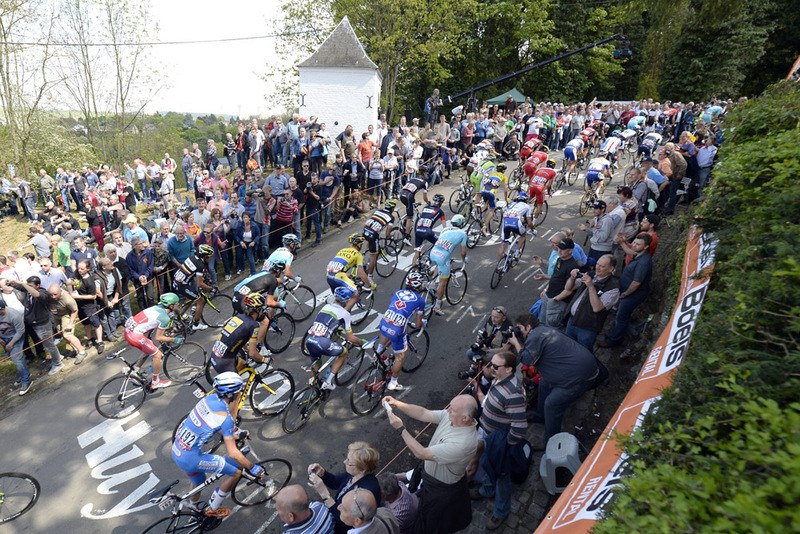 No race is as synonymous with a single climb as the Fleche Wallonne is with the Mur de Huy. Since the finish line was moved here in 1983 its steep slopes have become the centrepiece of the race, and each of the last eleven editions have boiled down to a bunch sprints up it. 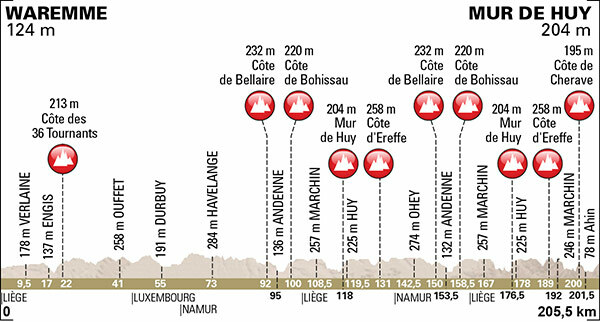 That has meant that the rest of the race has become something of a prolonged and uneventful prologue, but there’s so much excitement and nuance to the Mur de Huy that any prior boredom is quickly forgotten. Unlike many races that come down to a short, steep climb, this finish isn’t simply a case of who possesses the most explosive uphill sprint – at 1300 metres in length it is far too long to simply ride flat out from the bottom, so timing, positioning an energy preservation are all crucial, too. The climb actually starts out quite modest, with the gradient not exceeding seven per cent for the first 400 metres, meaning a position just behind those leading the peloton is the best position to be in at this stage rather than off the front. The road then tilts up to 10 per cent, but even now it’s too early to make a move as the climb gets even steeper another 400 metres later. The 22 per cent maximum gradient of the s-bend that greet the riders at this points is the crucial point, and anyone hoping to win will have to accelerate now and put themselves in contention for the final slow-motion sprint to the finish. Despite the attention surrounding this climb, however, the organisers have added an new climb at an inviting 5.5km from the finish. Also 1300 metres long but with a 8.1 per cent gradient, the Cote de Cherave is not quite as difficult as the Mur de Huy, but will add further difficulty to a final 30km that also features the Cote d’Ereffe and a penultimate ascent of the Mur, and could provide the launchpad for any outsiders looking to take the favourites by surprise. One such outsider could be Chris Froome, although he’ll likely be riding in support of his Sky teammates better suited to this race like Sergio Henao. 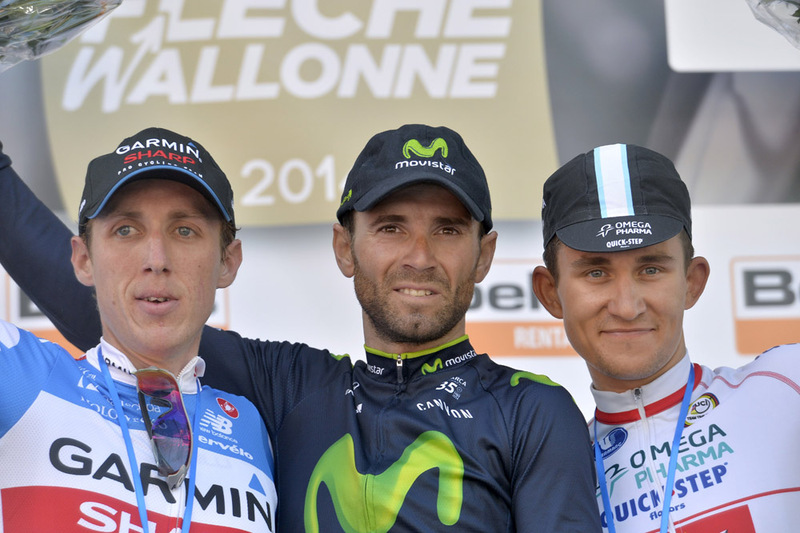 British hopes are more likely to be gratified through Simon Yates (Orica-GreenEdge), who makes his Ardennes Classics season debut on the back of a very impressive Tour of the Basque Country, where he rode side by side with some of the best puncheurs and finished fifth overall. Victory is improbable, but a good ride this year would mark the 22-year old out as a potential future winner. 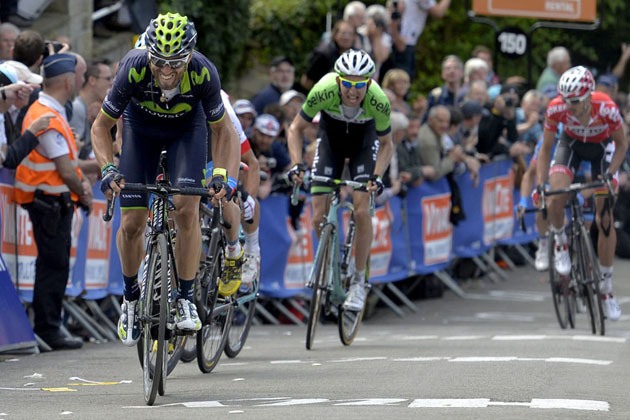 Who do the bookies back for La Flèche Wallonne 2015? Last year’s winner looked as strong as ever in the finale at Amstel Gold, but couldn’t match Michal Kwiatkowski’s sprint at the finish line and had to settle for yet another near miss. He should have the edge over the Pole on the steeper Mur de Huy, however, and could defend his title if he succeeds in riding as decisively as last year. Can the prodigiously talented 24-year old become the first rider since Philippe Gilbert (BMC) to win all the Ardennes Classics? It’s a huge ask for one so young, but third place at the Fleche Wallonne last year suggests he’s capable of giving himself a chance by winning the second of the three. Overall victory at the Tour of the Basque Country showed that Rodriguez remains the master of small, steep climbs, so the Mur de Huy should be right up his street. But, surprisingly considering his reputation, he’s only won Fleche Wallonne once (in 2012), and his best form sometimes deserts him during this week – 32nd at Amstel Gold on Sunday suggests that might be the case this year. Despite again failing to crack the top 10 at Amstel Gold, Martin will fancy his chances of winning the Fleche Wallonne. He has a very good record here and has improved with each edition – sixth in 2012, fourth in 2013, and second last year. That trajectory suggests a win this time round, although to do so he’ll have to put in his best performance of the season. At the Tour of the Basque Country, Henao was one of the very few riders capable of matching Rodriguez on the steep ascents, and will be a contender here if he can repeat such form. 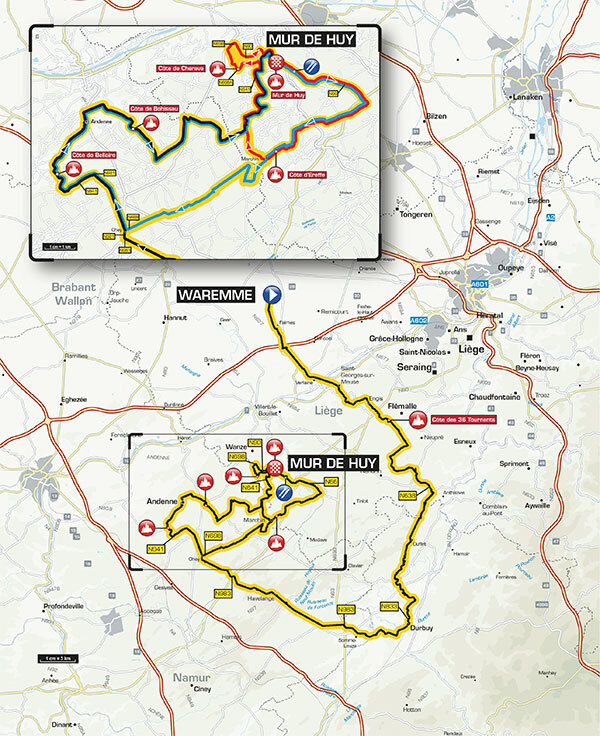 But failure to feature in the finale of Amstel Gold means there are question marks surrounding his form, although the steeper nature of the Mur de Huy should suit him better. British Eurosport will be broadcasting the race live from 13:00, with highlights in the evening.